The Military Police of Baguio is not far behind that of Manila in neronian cruelty. A few days before we arrived, they did something which filled the inhabitants with fear. A month ago, two Spanish nationals—Fr. Aniano González and Paul Burgalés—together with Mr. Valles, a resident of Baguio for half a century now, were arrested and imprisoned. We don’t know why. Fr. 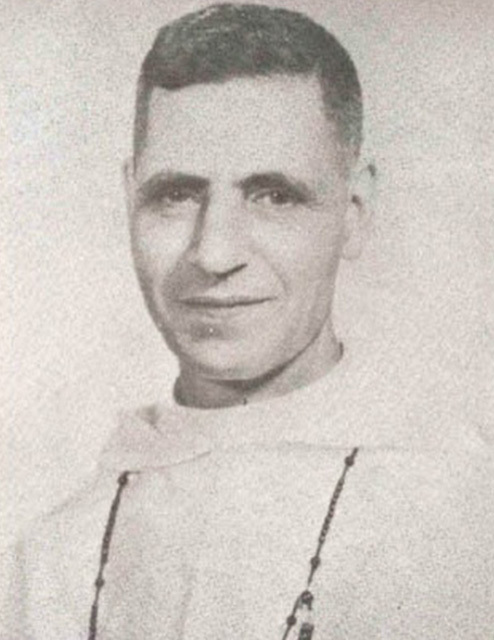 Aniano, after 15 days of torture, was released in such a debilitated condition that he had to be brought to a hospital. The Sisters of Charity, at a great sacrifice on their part, sent him a hearty meal at the prisons, but the guard devoured it in the presence of the hungry victims. With blood transfusion and the solicitude of the good Sisters, he started to recover. When he was feeling well, he was imprisoned again. After a few days, the Military Police told the Sisters that the priest was dead and his body was in the funeral parlor. They were allowed to see his livid body, but they were warned against telling that the priest died in prison. Mr. Valles suffered equally unspeakable tortures. Among others, they burned his body with an electric torch and he died in the hospital amidst horrible sufferings, his broken body falling into pieces.